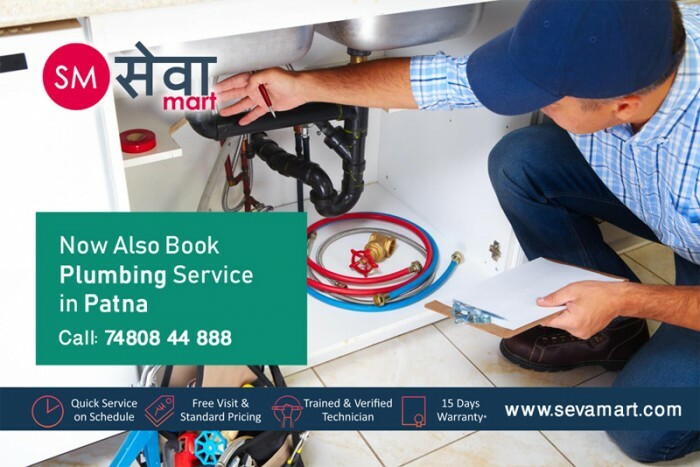 We are feeling very happy to announce that Now you can book SevaMart verified Plumber in Patna from 2nd October 2018. Many of our customers from Patna kept requesting to offer Plumbing Services also and we heard you. We are offering plumbing services in Patna with the same level of quality that we provide for our other services, We have own hired plumbers to serve you on time and provide quality repair with our control on it. All plumbers that we send to serve you are background checked and are full-time employee of SevaMart. Pay After Work i Done - Pay online or Offline by Cash after the job is done. Zero Visiting / Inspection fee: We don't charge you to visit your house to check and quote the estimated repair cost. No Tie Up - All Plumbers are hired trained professionals by SevaMart we ensure quick and quality Plumbing Services delivered to you as they We have hired them for full time. Verified Plumbing Experts: We hire verified plumbers with experience and also do internal screening for your safety and satisfaction. Book your first Online Plumber in Patna via SevaMart website or SevaMart Android MOBILE App and get INR 100 off on first plumber category.